Dr. Klein has built a beautiful state of the art dental office located in North Scottsdale. The office reflects our dedication to quality patient care and ensuring that your visit is as comfortable as possible. Dr. Klein understands that going to the dentist is not always the highlight of your day. For this reason our office provides a relaxing atmosphere to ensure patient comfort. "Dear Dr Klein, I wish to tell you how delighted I am after getting my new smile. I am only sorry that I didn't have it years ago. My teeth are straighter and whiter than I would ever have believed possible." K.B. 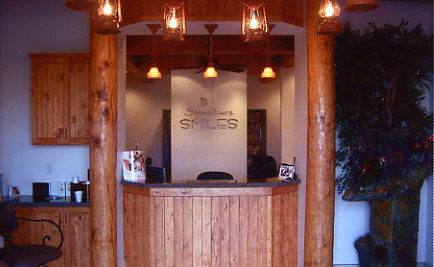 We are pleased that you have chosen our dental office for your oral health care needs. It is our promise to you and yours that we will provide quality dental care with outstanding customer service. Check out our state of the art office!